There’s a certain level of expectation that comes with mainstream horror releases these days. A list of assumed tick-boxes that you can check off when going to see one. For better or worse of late a lot of these have been championed by James Wan of Insidious and The Conjuring fame, yet even he works from a set of tools handed down through the decades. It’s just that now the choices seem a little more reductive, as though the studios are trying to fine-tune this sort of thing down to the necessary requirements only; young protagonists, a suburban setting, a ghost or ghoul influenced by Japanese spook stories, inevitably a long sequence where nobody will turn the bloody lights on, an overbearing score and a bunch of predictable if annoyingly effective jump-scares. Bam, there’s your movie. If enough people watch it – regardless of its quality – you can franchise it. Shower scene, rinse, repeat. Oculus, co-written and directed by Mike Flanagan and inspired by his own short film, does indeed fulfill many of these requirements. There are young protagonists, not only that but there’re also younger versions of those protagonists. It’s almost entirely set in one rather nice suburban home, quietly spacious enough that the neighbours might let all of this happen and not suspect a thing. The story concerns a bunch of spooky, yawning-mouthed menaces emanating from a cursed mirror, and said mirror has a disquieting ability to make all the lights go out. On paper, Oculus is sounding like more of the same. Another dip in the usual trick-bag. Thankfully, it’s not quite business as usual here. Flanagan’s premise holds that this centuries old nasty mirror known as the Lasser Glass captures its poor middle-class prey by altering their perceptions of the world around them. Through these insidious… tried not to use that word again, but it is insidious… Through these insidious means it orchestrated a domestic tragedy in which Alan Russell (Rory Cochrane) slowly descended into madness, went all Jack Torrance on his wife Marie (Katee Sackhoff) and their children barely escaped alive. 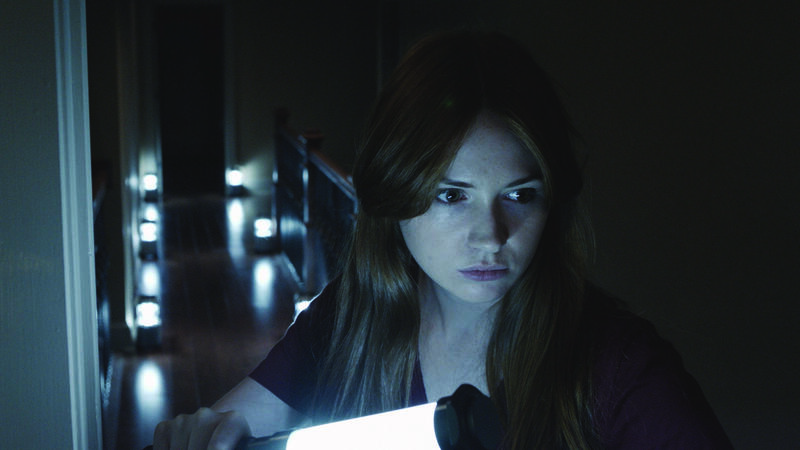 Ten years later, and daughter Kaylie (Karen Gillan) wants payback. Kaylie reunites with her skeptical brother Tim (Brenton Thwaites), acquires the cursed mirror all over again, and sets up a thorough system of cameras, timers and safety precautions under which they will lure the Lasser Glass into revealing it’s otherwordliness, or destroy it in the trying. What makes a great deal of Oculus a pleasing success is how Flanagan makes use of the central conceit that perception can and will be altered at any given time. The film takes the notion of flexible reality and wrings it like a wet towel. Kaylie’s explanation of her plan to Tim allows for some fun, even quirky exposition, bringing the audience up to speed in a sense, but generously leaving questions unanswered. 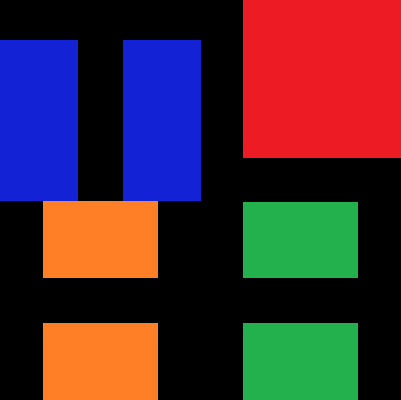 As reality starts to blur out at the edges, those blanks are creatively filled in as we at first cut between and later outright merge timelines. Events of ten years ago and present day slide into one another like interlocking fingers. This middle section is where Oculus really comes alive, and delivers a far more engrossing paranormal story than we’ve seen from the Hollywood system in a little while. Sure, it all feels about as plausible as an episode of The Outer Limits, but to nit-pick how ludicrous this is misses the point and disengages from the fun of it. After setting up a premise that sticks to the expected route, Flanagan seems to have thrillingly turned the satnav off and driven into the wilderness. Because of this sense of adventure, Oculus receives a significant Get Out Of Jail Free card when all the lights go out. Cannily (and maybe even as a nod to horror’s known bag of tricks) Kaylie is prepared for this and has brought her own icy blue lighting with her. The character’s practicality allows Flanagan an excuse to recast his film in the eerie lighting of a music video… and get away with it. One of the film’s more deliciously horrible moments also involves Kaylie and lightbulbs, but I’ll not spoil that moment of trickery. While the narrative flip-flops between now and then, real and imagined, it’d all be just tiresome show and tell if nobody was selling it. Fortunately, Flanagan has assembled a good group (for the most part). Karen Gillan gives Kaylie a persistent, Mulderish keenness to get one over on that nasty mirror, while in the flashbacks Rory Cochrane and Katee Sackhoff screwball into pantomime madness with enjoyable gusto. Even the kids playing the younger Kaylie and Tim (Annalise Basso and Garrett Ryan) comfortably pass muster. A shame then to lament Brenton Thwaites, whose struggles to sell grown-up Tim. A shame also that, after steering us so well through its sinuous middle section, Oculus fails to go anywhere. The ending is telegraphed in laboriously early on, so much so that you expect to be wrong-footed, especially after the creativity in the second act. When everything finally snaps back into place, however, it’s frankly disappointing that Flanagan didn’t have one last trick up his sleeve. Still, there’s enough good here to outweigh the bad, and if Oculus ultimately doesn’t manage to tear mainstream horror out of its reductive straight-jacket, it at least wrestles with the straps a little before giving up. I can only applaud the attempt. And while I may have jeered at James Wan and the stereotypical horror movie, I must admit that I like the Insidious movies, and Oculus has every chance of spinning out into a similarly fun franchise. On this evidence, that wouldn’t necessarily be a bad thing. Worth a look.